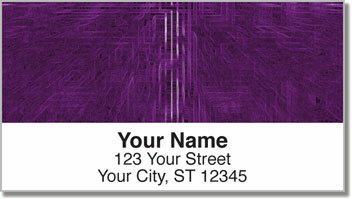 Enter an electric atmosphere where zeroes and ones become a world of information. It's like another dimension in which data comes to life with brilliant techno-color. 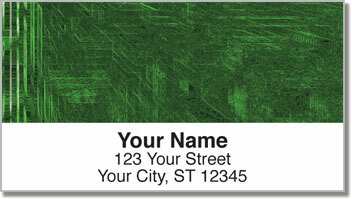 This attractive set of address labels will add a high-tech feel to your old-fashioned letters and packages. It's professional-looking, yet it has powerful personality. This is the perfect finishing touch for people who like to be on the cutting edge. The most beneficial aspect of your new address labels is that they are self-adhesive. That means all you have to do is peel them off and stick them on anything that goes in your mailbox. 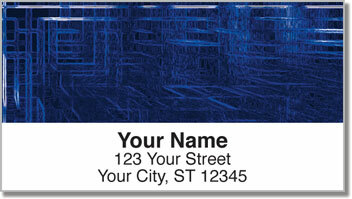 Order your own Techno Matrix Address Labels from CheckAdvantage today! You can also get matching checks.